The old generation Ford Fiesta van was far behind the current model, but despite this fact it still managed to make a compelling case for itself. 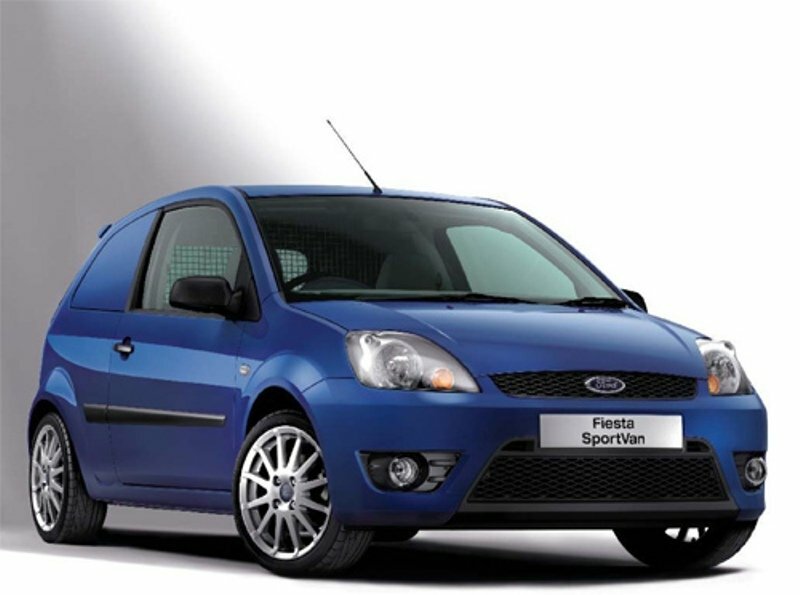 The previous model was sold between 2003 - 2008 and was based on the three door version of the Fiesta passenger car. The Ford Fiesta van looked pretty good and was fairly agile around town, offering a pretty ergonomic cabin as well. There were two basic engines on offer namely a 1.3 petrol and 1.4 diesel. For those looking for sportier performances Ford also offered a 1.6 liter engine that was the quickest in the range. The Ford Fiesta van was priced from $ 15500 and payload capacity varied from 512 kg to 543 kg depending on the engine. 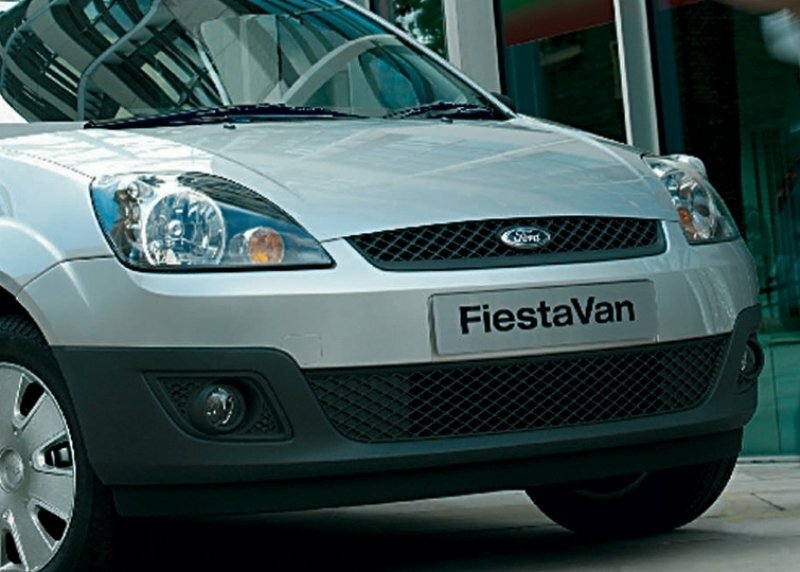 For its time the Ford Fiesta Van looked pretty good and its sharp appearance helped it to stand out from the crowd. The curved boned gave the vehicle a touch of dynamism that was also enhanced by the stylish headlights and the elegant thin grille. 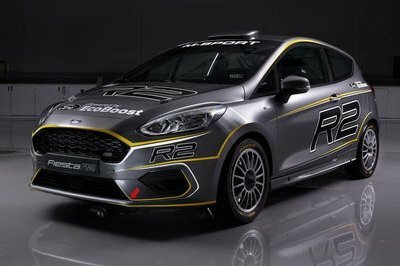 The Fiesta’s front spoiler was pretty clean and received a wide hexagonal air intake which made the vehicle look more aggressive. The bumper was also fitted with a pair of circular fog lamps which offered a proper road visibility during difficult weather conditions. Around the back there is a roof hinged door and vertically placed taillights placed on the “C” pillars. The cargo bay offered a capacity of one cubic metter which was at par with what you’d usually find in this segment. The goods can be secured by means of a two lashing points while the cargo bay and passenger compartment are separated by a half-length bulkhead that could’ve been specified with a screen mesh for extra protection. 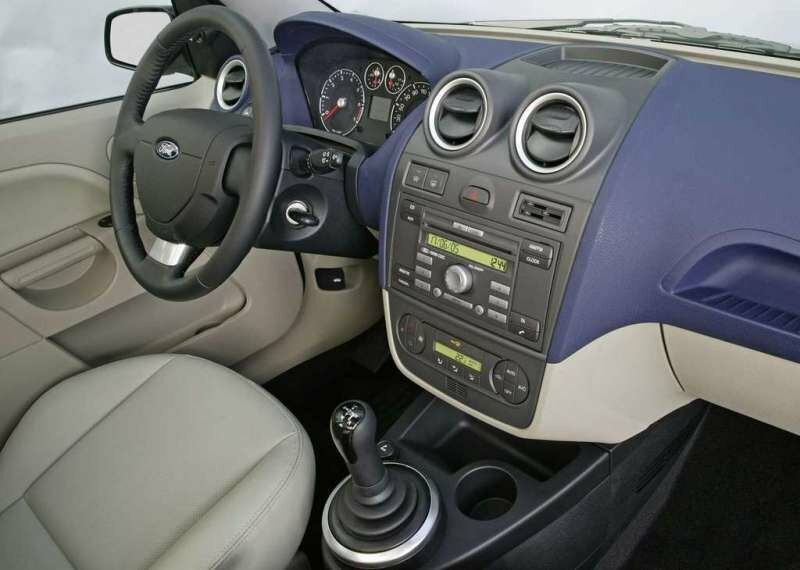 Once inside, you’ll find a pretty cluttered center console and a dated instrument panel. The dashboard however, has a pretty practical design and it’s fitted with a few cubby holes and a big glovebox. The ergonomy is pretty good and we especially like the modern height adjustable steering wheel which offers a great grab. The materials aren’t something to rave about, but the build quality is among the best you’ll find around. The seats are firm and supportive offering decent comfort for both short and long journeys. There are also offered a few useful adjustments to help you find your favorite driving position in no time. The all around visibility offered by the Ford Fiesta van is nothing short of excellent and you can rely with confidence on the big lateral mirrors and the generous windscreen. Though, rearward visibility is obscured by the rear panels. The storage department it’s pretty well represented and there are enough cubbies to store your things safely. There are three engine versions available including a 1.3 liter petrol, a 1.4 liter diesel and a sporty 1.6 liter diesel. 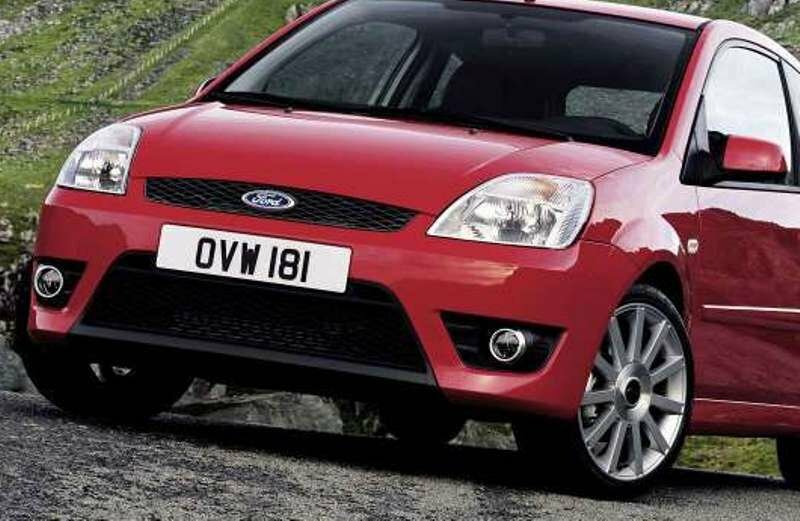 The Ford Fiesta van’s engines were pretty flexible and refinement, but not even the 1.6 diesel unit wasn’t as sporty as expected, as it failed to provide the expected performances. However, for daily city driving and for commercial applications all three units provided decent performances and fuel consumption. The 1.3 liter petrol returns about 45 mpg, while the 1.4 TDCi and 1.6 units both achieve over 60 mpg. 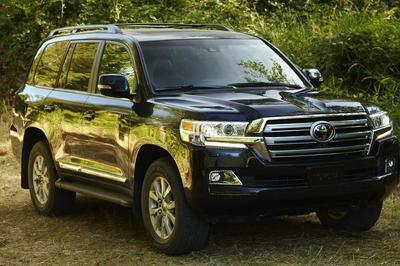 The engines are married to a 5 speed manual transmission which is pretty smooth and delivers a proper response with good gear linkages. Up front, the Ford Fiesta Van is equipped with conventional Macpherson struts, while at the back it gets a coil springs setup. As it was based on a passenger car, the Fiesta van delivers a smooth and relaxing ride, being able to keep its passengers away even from the biggest potholes. Thanks to its compact exterior dimensions and the light and responsive power steering the Fiesta van is a joy to be driven around town. The cornering abilities are also pretty good, as the vehicle stays well planted on its wheel even during harder cornering. As most vehicles in the segment the Ford Fiesta van gets disc brakes at front and drums at the rear, this configuration being enough to keep you safe. In the safety department you’ll find features like two front airbags, anti-lock brakes, three-point seatbelts, remote central locking, an immobiliser and an anti-theft audio system, all offered as standard equipments. The old Ford Fiesta van deserves its place among the best models in its class. For its time, the van had a pretty modern design language combined with a decent interior that had anything it needed to offer a pretty comfortable driving experience. 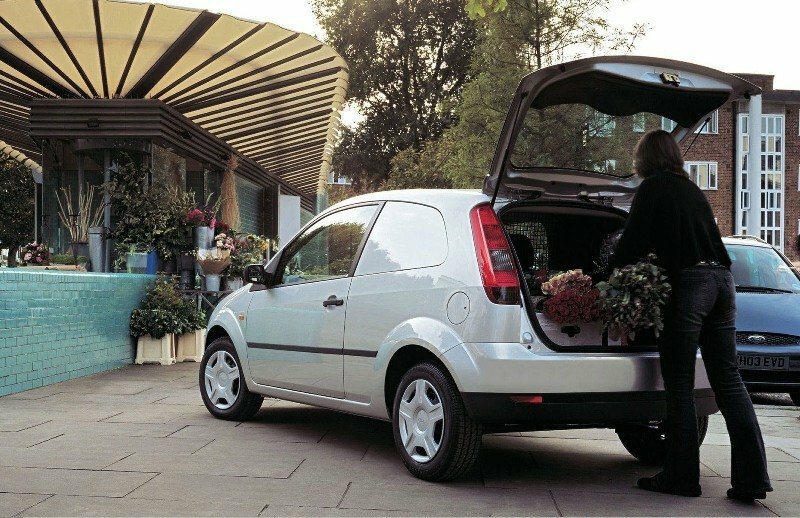 The Ford Fiesta van’s load volume was at par with its competitors and the engines lineup was pretty wide, permitting you to choose the perfect model suited for your needs. We also like the ride and handling which made the Ford Fiesta van fairly fun to drive, while its compact exterior dimensions helped it to deal well with the city driving.